Not just pretty, our custom trailers are tight from tongue to gate. We build quality into everything you see, and everything you don’t. We deliver outstanding fit and finish. You’ll find us deep in the details, making sure your custom trailer has everything you want. When you choose Octane, you’re choosing to get the best. Which style of trailer are you looking for? Race, stacker, gooseneck, motorcycle, all purpose, we make them all. The best craftsmanship, the best materials, the best bonus features on the market. We don’t knock out cookie cutter trailers. 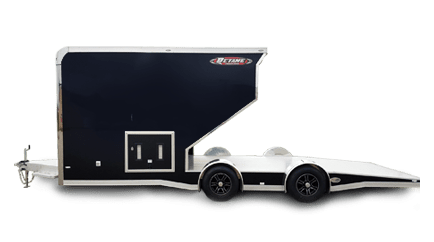 Yes, we’ll get you started with our spec sheets so that if you need a custom race trailer, a gooseneck, or any of our other styles, you can see what comes standard and have a ballpark on price. From there we’ll work with you to make sure it meets your individual needs. When you pull out with an Octane trailer behind you, you’ll know you’ve got a trailer that’s worthy of what you’re hauling and will make it to where you want to go. 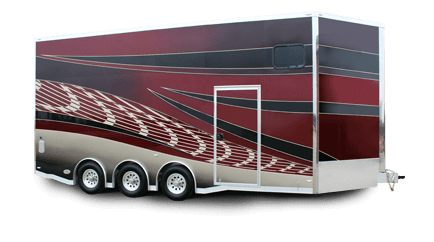 We’ll help you get started planning your ideal custom trailer. Check out what makes us better by touring through our different styles (everything from stacker trailers to ATV and motorcycle trailers to open trailers), cruise through our galleries and make note of the features you want to include, and get started designing the custom trailer you want by requesting a quote. Get our arsenal of experience working for you. 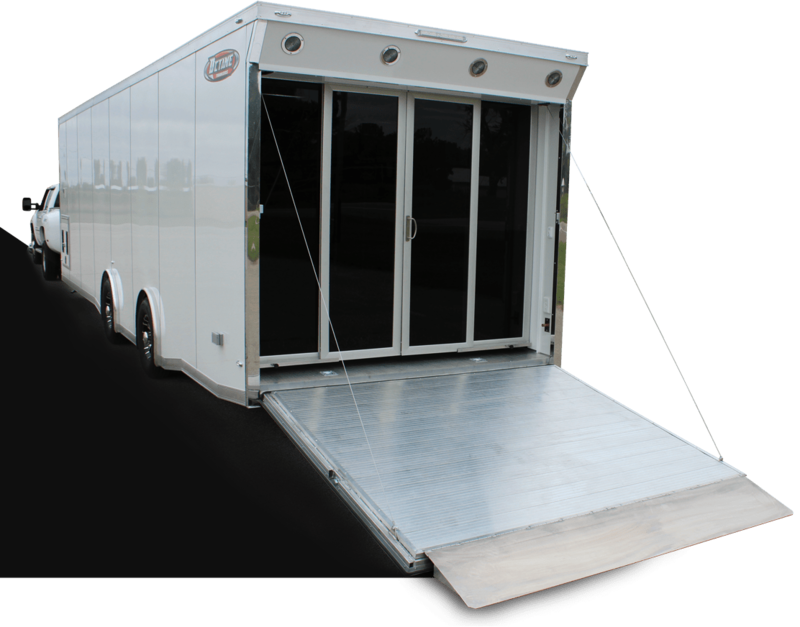 After building custom trailers for years we’ve got an impressive number of ideas for your custom trailer. We’ll help you sort out the add-ons and build you the last trailer you’ll ever need. When you’ve got motorcycles to trailer, load them into the best quality cargo hauler available. Ours come with 8 – 5000 lb recessed D rings installed and chocks ready for custom placement. Hogs, choppers, café racers, dirt bikes, track bikes – whatever you’re running, we’ll build the custom trailers to move them securely. 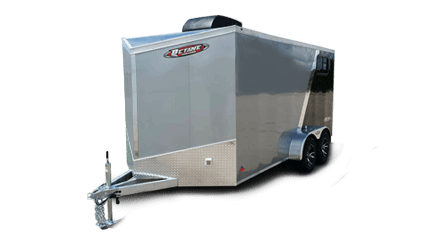 Gooseneck trailers are meant for cargo, and you want to keep it organized and secure. Storage cabinetry, lighting, winches, awnings – get the add-ons you want and need to make the most out of your cargo space. We know our goosenecks are an extension of whatever gets loaded in them, which means you’ll need the trailer solutions to match. ©2019 Octane Custom Trailers All Rights Reserved.